The farm....the starting point.....or, how it all started. Our search started and after almost one year of searching, we found an old farm in Nová Baňa. It had a lot of fruit trees, surrouding meadows and the countryside was very appealing. Because the original farm consisted of two separate entities, (the older smaller part was later enlarged with the bigger second part of the house), and the seperate small house also offered housing opportunies, so the idea was born just to leave the composition of the living space as it was and to offer it to visitors. During the summer, we stayed in the biggest part, the "summerpart" of the house. During the cold winter months, we moved to the smaller "winterpart", because it is faster to heat. Both parts of the interior of house underwent a complete reconstruction. Work started in the year 2009 to finished in 2012. The result can now be seen: the first visitors came to us already in the same year. Next to the road a stone wall was put in place to enclose the garden. At the same time, a parking place was created and this keeps the complete yard free of cars. The garden underwent its metamorphosis in the year 2012. 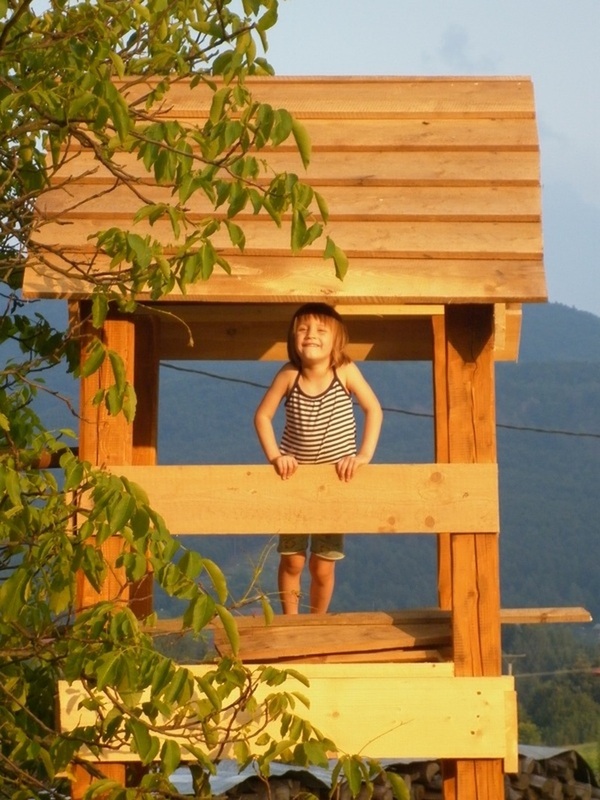 There is a play area with a sandbox, a swing and climbing towers. The pond has proven to be a strong magnet for children because of the abundance of animal life: frogs, watersnakes and dragonflies are regular visitors. At the front of the house, there is a wooden shelter, so in any kind of weather, there is a possibility to eat outside. Furthermore, a trampoline, a hammock and a rocking chair are at your disposal. Behind to the barn, two couples of emu birds live their peaceful lives. Last but not least, the project "pool game shed" was founded. On the first floor of the shed, two pool tables were put in place to serve the visitors at any time. As previously stated, both of us work in Bratislava, we have our professional lives in the capital. This means we only use the farm during the weekends or during the holidays. Therefore, this website was created to give you an idea of the real estate and its possibilies and provide you with information of places you can visit in the near vicinity. For anyone who wants more information there is a possibility to help you with making a program. 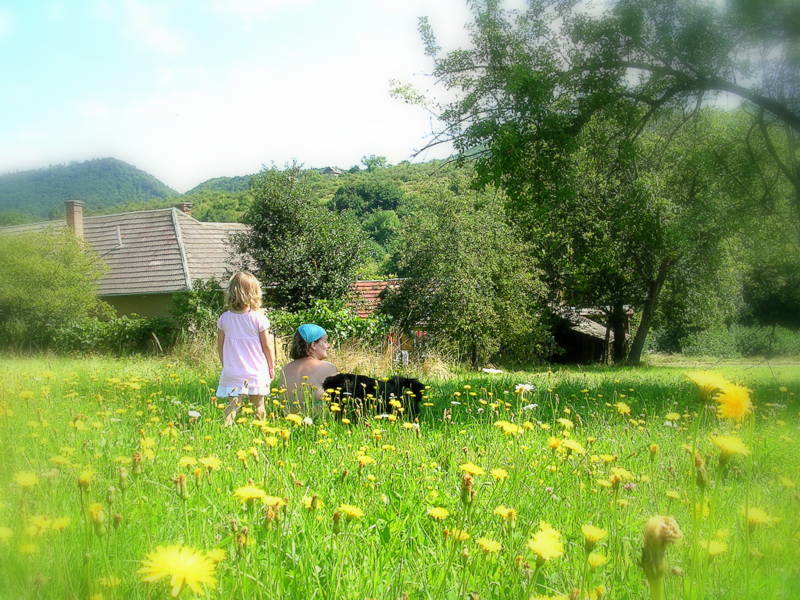 In short, we offer our countryhouse to people who are interested to come and visit Slovakia and who want to enjoy the quietness of the countryside and want to explore the region. In this website, you will find lots of pictures. They say much more than words. Next to them, links are mentioned to give you further information.